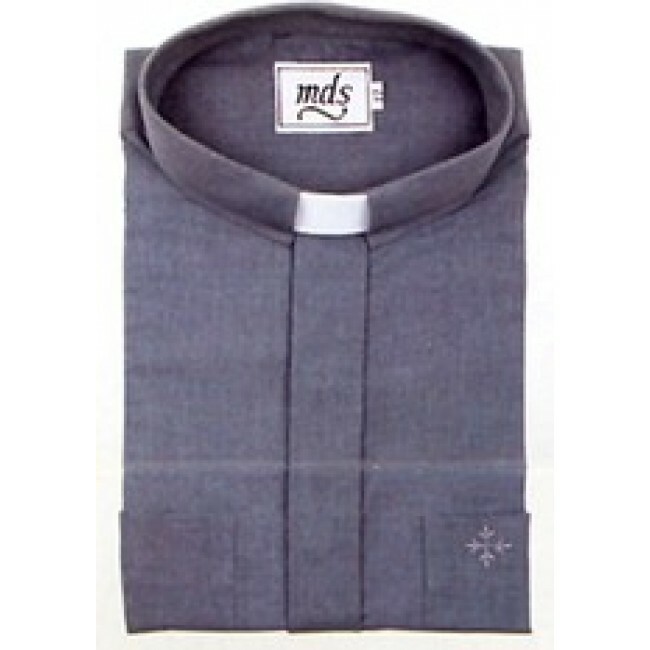 Our MDS tab collar clergy shirt with short sleeves is made of a cotton/poly blend in neck sizes 15 to 20 and 21 from our MDS brand collection of fine men's clerical wear at MatthewFSheehan.net. These wash-and-wear MDS short-sleeved pocketed clergy shirts are smartly designed with a box pleat in back for extra comfort, and an embroidered cross on the breast pocket. 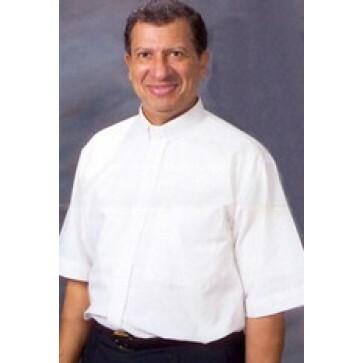 Add top-stitched cuffs are a stylish touch to these fuller-cut clerical shirts by MDS in black, white, gray. 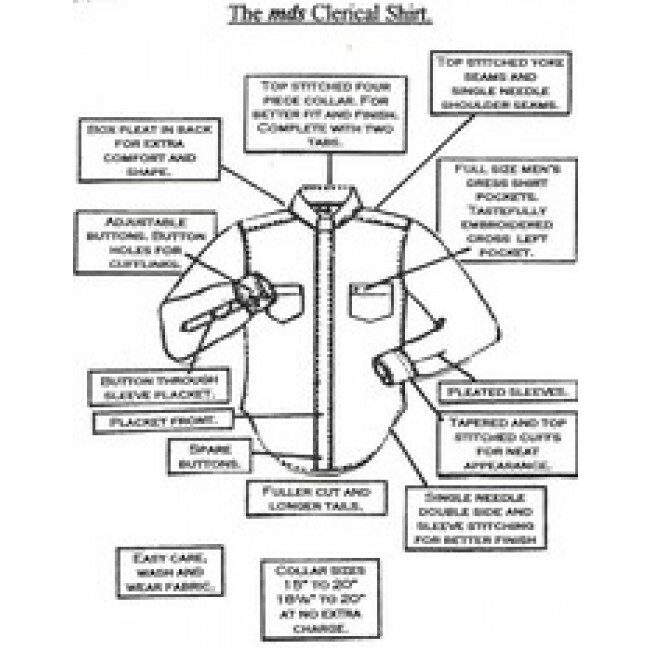 Trust our century of dedication to superior customer service at Matthew F. Sheehan Co.